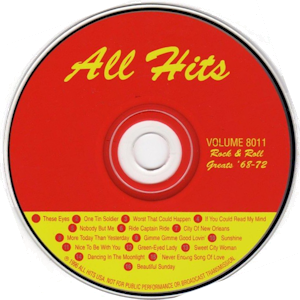 These discs was produced by All Hits in the United States. 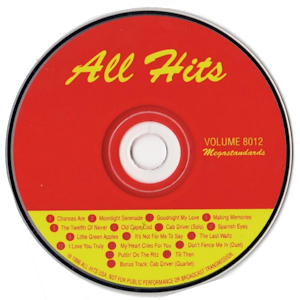 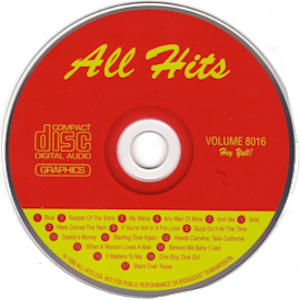 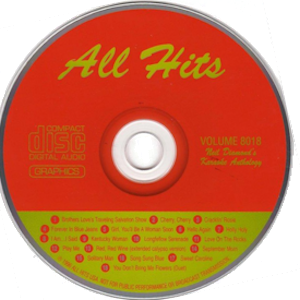 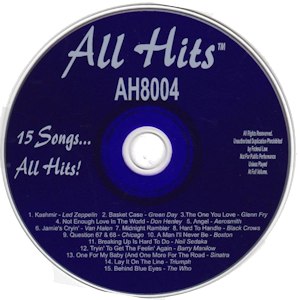 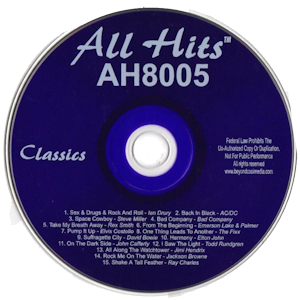 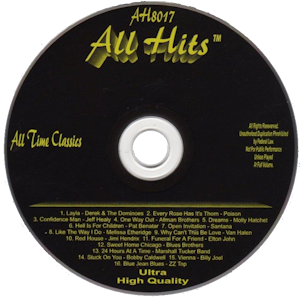 The All Hits Series contains discs which contain material exclusive to one artist and discs with several artists work. 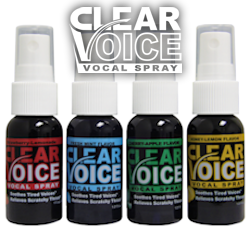 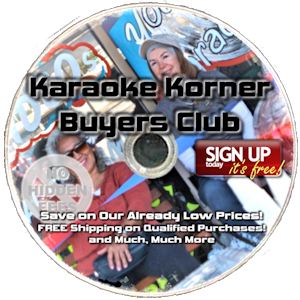 They may be male, female, duets, bands or any other combination of performers and the material may come from one of many different genres such as Country, Pop, Gospel, Rock, children’s or special occasion, just to mention a few. 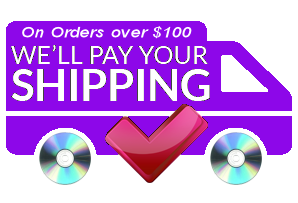 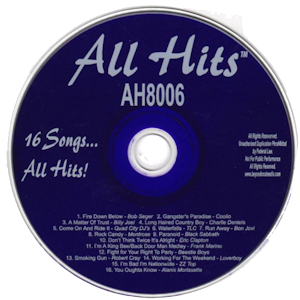 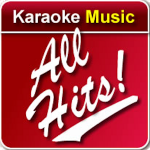 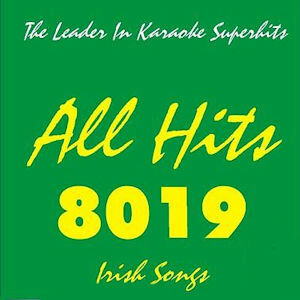 All Hits Karaoke discs have been discontinued and they are no longer available other than in very limited quantities.